Sula Vineyards, India’s #1 wine company and largest wine producer in the country hosted an exquisite wine and food pairing event yesterday. As part of the tasting, Ajoy Shaw, Chief Winemaker, Sula Vineyards presented an array of award-winning wines from the house of Sula and complimented them with diverse Indian delicacies served on the platter. From starters to desserts, Shaw introduced attendees to the culture of Indian food and wine pairing while coupling the spiciest to the mildest dishes with the right wines. Starting with Sula Brut Tropicale, Sula’s first Blanc de Noirs, Ajoy commenced the tastings event by pairing it with Pheni Paratha (shredded and flaky flatbread) and mildly spiced Bhutte ke kebab (corn patties). Made by blending 70% red grapes and 30% white grapes, Sula Brut Tropicale is prepared using the traditional method of champagne. Its beautiful pale-coral bubbly bursts of passion fruit and peachy aromas, with a prolonged nish of red berries on the palate makes it ideal for drinking with mildly spiced food and bread. Next on the list was the Sula Sauvignon Blanc, Sula’s award-winning wine that acquired Gold medals at the Indian Wine Consumers Choice Award consecutively in 2012 and 2013 and Silver medals at Sommelier India Wine Competition 2009, Decanter World Wine Awards 2011 in the UK and Decanter Asia Wine Awards 2012 in Hong Kong. India’s first ever Sauvignon Blanc, the wine is light, crisp and dry. An acidic white wine which is light, crisp and dry, the Sula Sauvignon Blanc is herbaceous with aromas of bell peppers, asparagus and freshly cut green grass and pairs perfectly with fried food and rich, creamy dishes owing to its light and crisp demeanour. The Sula Sauvignon Blanc was paired with delicious Subz ki Kebabs (vegetable seekh kebabs). Following suit was Sula Riesling, yet another award-winning wine from the house of Sula. The Sula Riesling won gold medals at the Indian Wine Consumers Choice Awards consecutively in 2013, 2015 and 2015, the silver medal at the Sommelier India Wine Competition in 2009 and bronze medals at the Decanter Asia Wine Awards 2012 in Hong Kong and Riesling Global Masters 2015. Fresh and light styled, the Sula Riesling has aromas of floral and citrus fruit and contains less than 11% alcohol content. Its off-dry style provides the wine with a hint of sweetness that makes it perfect for consumption along with spicy Indian food. The Sula Riesling was paired with spicy Paneer Tikkas and can also be consumed as an aperitif. The Sula Satori Merlot Malbec came next and was paired with Gilafi Kulcha, crispy stuffed double-layered bread with cheese, vegetables and coriander leaves. The Sula Satori Merlot Malbec is a medium bodied wine with hints of black cherries, plum, cranberries and a hint of vanilla and cinnamon. A fruity, light wine, the Sula Satori blends well with mildly spicy Indian food and its easing drinking characteristic makes it the ideal pairing with home-style curries, naans and pizzas. Right before the desserts, the Sula Rasa Shiraz, Sula Vineyards’ limited edition wine was introduced to guests and paired with Gucchi aur Safed Mushroom ki Galouti. The Sula Rasa Shiraz is Sula Vineyards’ finest red wine ever. A complex wine with power and finesse, it is prepared using the finest Shiraz grapes and matured in the finest French Oak barrels for 14 months. The wine’s raspberry, dark cherry and aromas of black pepper and cinnamon make it the best wine to be paired with heavy, rich curries and dishes that are meat heavy. 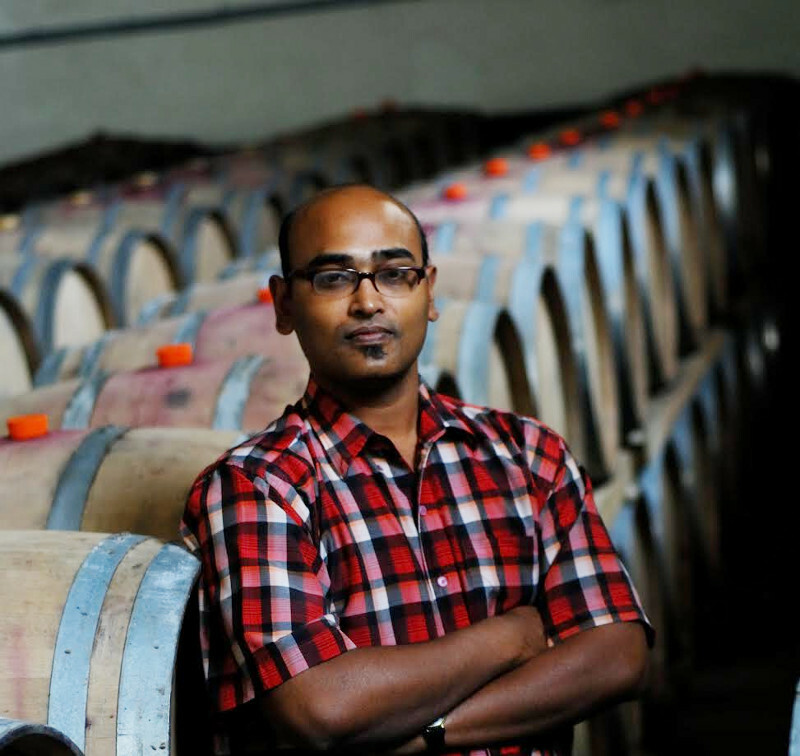 The Sula Rasa Shiraz won a silver medal at the esteemed Syrah Du Monde in France in 2014. The wine also bagged bronze medals at Decanter Asia Wine Awards 2011 in Hong Kong and Indian Wine Consumers Choice Awards 2012. Another stallion joined the list of the most revered wines to conclude the tastings session on a high note. The Sula Late Harvest Chenin Blanc was paired with Khubani ka Meetha, an authentic Hyderabadi dessert made from dried apricots. One of the first sweet wines in the country, The Sula Late Harvest Chenin Blanc bagged numerous awards, two of the most prestigious being - India's best white wine at Indian Wine Challenge 2008 and a gold medal at Indian Consumer's Choice Award 2013. The wine’s rich and concentrated tropical fruits, citrus and honey flavours make this wine an impeccably perfect dessert wine. With invigorating wines and an array of Indian delicacies all evening, Sula Vineyards took those present on an insightful ride through the ample wine and food pairings.